The RAND Corporation’s National Defense Research Institute prepared a study on the evolution of Al Qaida and other Salafist jihadist organizations for the Office of the US Secretary of Defense. Written by Seth Jones, this paper was released in June of this year and pointed out an increase in Salafi-Jihadist groups, recruitment, attacks and their spread throughout various parts of the world. 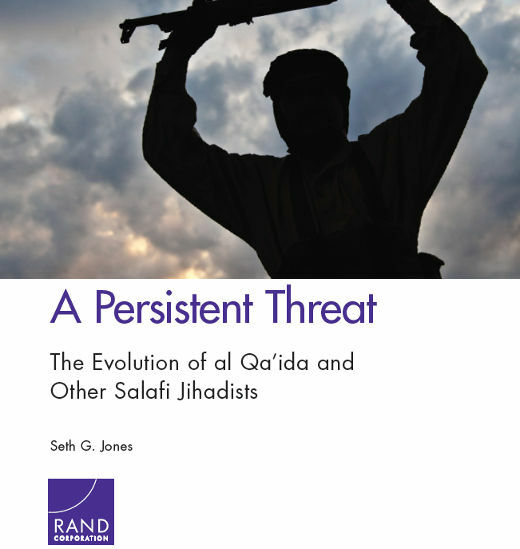 This research examines the evolution of al Qa’ida and other Salafi jihadist groups, as well as implications for U.S. policy. The number of Salafi-jihadist groups and fighters increased after 2010, as well as the number of attacks perpetrated by al Qa’ida and its affiliates. Examples include groups operating in Tunisia, Algeria, Mali, Libya, Egypt (including the Sinai Peninsula), Lebanon, and Syria. These trends suggest that the United States needs to remain focused on countering the proliferation of Salafi-jihadist groups, which have started to resurge in North Africa and the Middle East, despite the temptations to shift attention and resources to the strategic “re-balance” to the Asia-Pacific region and to significantly decrease counter-terrorism budgets in an era of fiscal constraint.